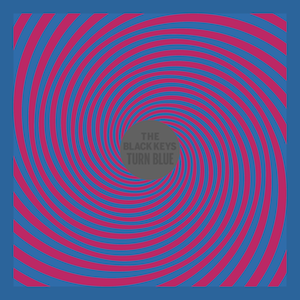 The Black Keys released on May 12th their 8th studio album entitled “Turn Blue”. The record features 11 tracks that include hits such as “Fever” and “Turn Blue”. It was co-produced by Danger Mouse and recorded in Hollywood, California. This was, by far, one of the albums I was really looking forward in listening, but sadly, it was a huge disappointment. The album is full of a 70’s psychedelic/stoner-rock vibe, filled with mid tempo guitar riffs and a few catchy songs, but…that’s it. For me, the album stays on the same ground the entire time, making, at some level, each track identical to one another. Perhaps this was the plan all along from the band, but it just didn’t work for me. “Fever” was the first single released from the album and is, in my humble opinion, the best track. The video for the track, which you can watch below, is quite good too. Directed by Theo Wenner, it features guitarist Dan Auerbach playing a very sweaty televangelist preaching to an audience. You can see during the video a phone number that flashes on screen accompanied by a scrolling list of people who have donated. The mysterious number leads to a scratchy recording that includes a man’s voice saying, “I’m calling because I’m interested in your releasing my album!”. It turns out that was voice of the band’s drummer, Patrick Carney, apparently prank-calling their own label. Kinda funny, right?